Ms. Henderson graduated from college with a Bachelor of Science Degree in Natural Resource Management and immediately began a 34-year career with the US Forest Service. In 1995 she transferred to the National Interagency Fire Center as their Administrative Manager completely immersing in fire management. She was responsible for the development of curriculum, handbooks, and key international agreements which provided the exchange of fire resources between the United States and several countries. 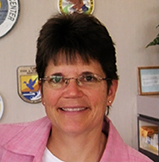 In 2003 she became the Branch Chief for Equipment and Chemicals for the US Forest Service providing leadership, decision making, and policy development for the fire chemicals program, mobile equipment for firefighting, and fire cache system. Tory also developed and implemented strategic plans for the Equipment Technology Committee, and served as Chair, and the Cache Managers group. Having worked closely with the interagency fire and aviation community including international fire equipment professionals, she served as the secretary for an NFPA Committee and provided advice, guidance, and agency input in the development of national building codes and standards. As a key member to Washington Office’s leadership team and expert fire chemical and equipment professional, she helped to develop changes in policy, standardization of fire engines and other equipment, and the development of the Environmental Impact Statement and Decision Notice for the Aerial Application of Fire Retardant. Tory has also worked closely with both the Office of General Counsel and Department of Justice in defending the Agency during litigation which resulted in meeting the Judge’s decision. In addition to serving as the branch chief, the last two years of her career, she also had the responsibility to develop the Workforce and Succession Plan for the USFS Fire and Aviation workforce in response to an Office of Inspector General Audit, which was completed December 2013 also establishing an implementation plan for the workforce plan, developed policy, performance elements for leadership, and worked with human resources management and the union to establish accomplishment reporting. Tory’s background is stacked with endless public service dealing with severe summer fire season working with the interagency community to provide resources needed across the country and Canada. She also served as the Forest Service Leader for the National Wildfire Coordinating Group (NWCG), and the Forest Service Leader for the National Multiagency Coordinating Group (NMAC).